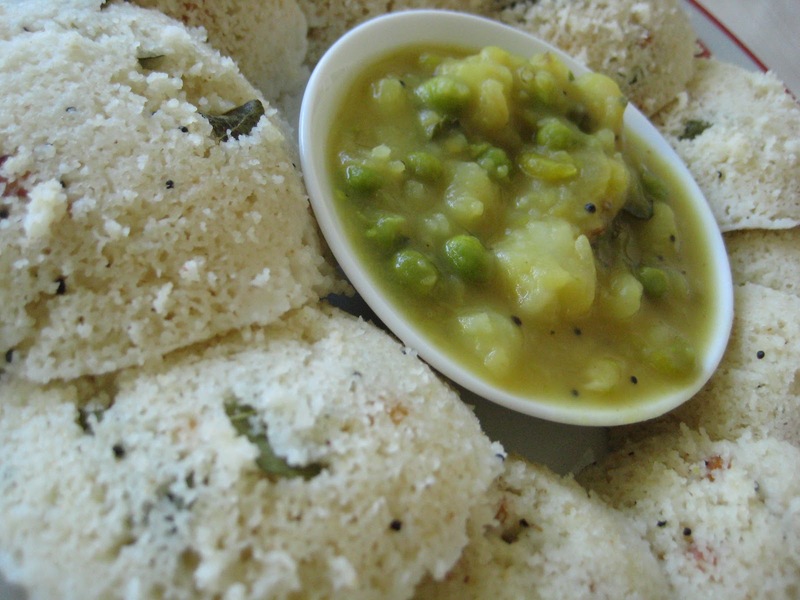 This is a very easy and simple recipe and it goes very well with Idli. Try it out , enjoy. Peel the pressure cooked Potatoes and mash them. 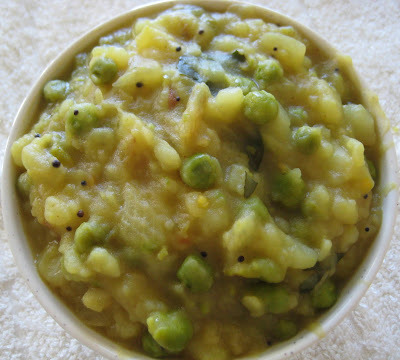 Heat the Oil in a Pan or vessel, add mustard seeds, once they splutter add green Chili, Curry leaves,Hing and Turmeric. Saute for 30 sec. Now add Onion and green peas. Saute for 3 min. Then add the mashed Potato, mix well. Add one and a half cup of water ( as per your consistency). Add salt to taste. Boil for 5 min. Finely add the Lemon juice and Coriander leaves if you like. Serve hot with hot Rave Idli.